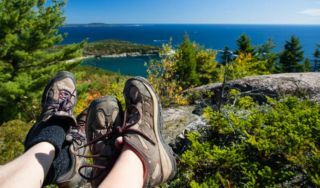 Explore Bar Harbor, ME Attractions and plan a great stay to the island! Acadia’s 33,000 acres of woodland, mountains, lakes, and shore front surround Bar Harbor, ME. More than 60 trails and mountains as high as 1500 feet offer activities ranging from gentle to strenuous. We have listed below just a few activities that await you. 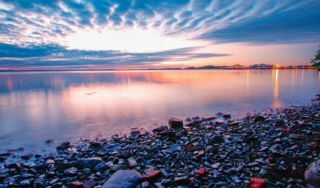 We are blessed, in and around Bar Harbor, to have a wide array of events that take place indoors and out designed for evening and more casual interests. There are also sightseeing buses and coaches providing tours to almost the entire island. The climate is near perfect for all types of activities. The cool ocean gives us sea breezes almost every night -cooling the air from a daytime temperature in the low 80s to mid 60s at night. Mira Monte’s quiet location allows you to open your windows and sleep with fresh sea air filling your lungs. You might need a sweater if you’re going out for an evening walk. 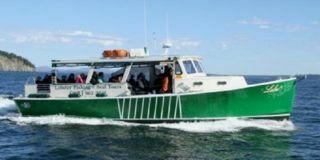 You will need warm clothing if you expect to go out on one of the many boat cruises available to you: whale watching, sailing, kayaking, nature cruises, puffin watching, and sightseeing cruises. Bring jeans, socks, a head scarf, and layers of shirts or sweaters plus gloves if you’re from a warm climate. Bring a knapsack or tote bag so you can add layers or shed them as the temperature dictates. You need these because the ocean is 50 to 60 degrees and the wind and sea breezes can be cold. Trails range from rugged and challenging to gently sloping paths at the water’s edge. (One of our favorites is the 2 mile walk from Sand Beach to Otter Point. In the summer you can take a bus to Sand Beach, walk the trail, and pick up a return bus at Otter Point). We love the North Ridge trail on Champlain Mt. (formerly called Bear Brook Trail). There is a vernal pool of water in the rocks that looks as though it was designed by a Japanese master gardener. We like going up the Beechcroft Trail on Huguenot Head and then up Champlain and back down by the North Ridge trail. Another favorite: take the Bald Peak trail just above Hadlock Pond on Rte. 198 and quickly turn left on to Parkman Mountain Trail. There are a lot of choices here – go to the waterfall bridge on the way (if it has been raining) and at the top of Parkman, a right turn will take you to the Sargent Mountain Complex, or a left turn will take you down to the carriage road and back to your car. Both the seasoned cyclist and the beginner will enjoy a variety of choices and experiences. 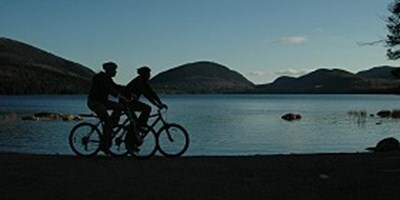 There are two good rentals very near Mira Monte: Acadia Bike and Canoe, and Bar Harbor Bicycle Shop. Walking is the best and easiest way to explore Old Bar Harbor. We will provide you with a historic map. There are group walking tours available as well. Bar Harbor’s Shore Path is an easy stroll with the most spectacular views. It begins just a five minute walk from Mira Monte. Bar Island Walk: Another popular stroll is available at low tide: walk to Bar Island – about 5 minutes to begin at the foot of Bridge Street. Ten minutes in another direction takes you to the beginning of the Village Connector Trails. Beginning at the cemetery at the end of Kebo Street, these trails take you across the Great Meadow to the base of Dorr Mountain and to the Wild Gardens of Acadia – a botanical collection of native Mt Desert Island plants, trees, and shrubs. Without getting your feet wet, here is where you will see bog plants such as the insect collecting Pitcher Plant. 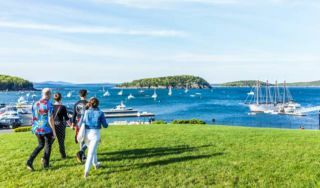 Since the 1840s, Bar Harbor has been a famous summer resort. Wonderland: aptly named. The native pitch pine trees look like natural bonsai trees, they are stunted by lack of nutrients and shaped by a prevailing ocean wind. The ground covers are made up of arctic plants that are at their southern limit here on the island. The arctic plants survive here because of the cool summer nights; sharing the sun-warmed rocks are many southern plants that live here because we usually have mild winters. This short walk ends at the rocky shore – a trip filled with wonder. Ship Harbor Trail: Another walk, very close by, is the Ship Harbor Trail which winds in a figure eight along the beautiful little harbor – so named because it was the sight of a tragic ship wreck many years ago. Today, it is a peaceful, beautiful short walk. Full and half day tours and excursions allow you to explore close to islands and their wildlife and birds. 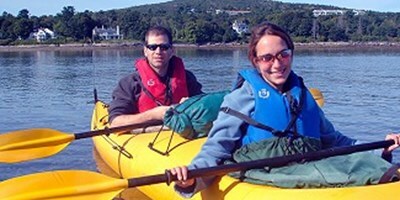 We use Coastal Kayaking www.acadiafun.com, but there are other companies that are good. Canoeing is also so available at Acadia Bike and Canoe. 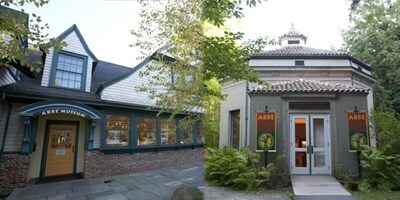 The Abbe Museum is the anchor museum for the Wabanaki Trail, the cultural history of the Abenaki Indians. It is just down the street from Mira Monte Inn. It is a great place to learn more of Maine’s Native Americans through their art, culture and archaeology. There is also a trailside museum at Sieur Des Monts Springs. Dorr Museum of Natural History: Dorr Museum of Natural History is at the College of the Atlantic: Exhibits of native animals, taxidermy, and settings done by the students. 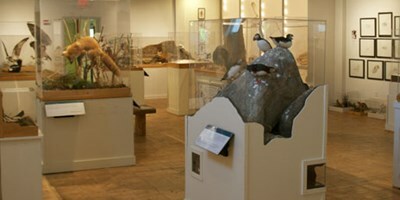 Wendell Gilley Museum, Southwest Harbor: This museum displays the carved bird collection by Wendell Gilley, local plumber and outdoorsman, and renowned bird carver. 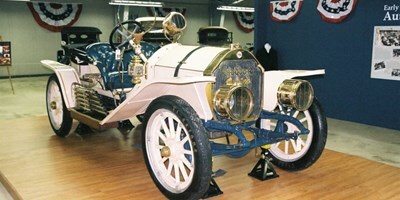 The Seal Cove Auto Museum: The Seal Cove Auto Museum is home to a world-class collection of early Brass Era cars. 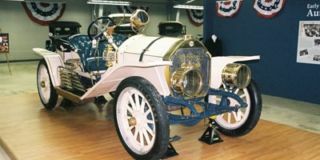 Tucked away in a metal building on a back road of Mount Desert Island, these automobiles represent the technology, design aesthetic, and lifestyle of the years between 1895-1917. The Sound Museum: The Sound Museum, located on Rte. 198 towards Northeast Harbor displays the history of the Sound village during the early years when this was a thriving village at the head of Somes Sound. It was a village of stone cutters and fishermen. The building is the former schoolhouse. The Lulu Lobster Boat: Lulu is a traditional Downeast-style lobster boat that possesses the character and sea-kindliness for which these tough workboats are reputed. Ask us for more details about this excursion. 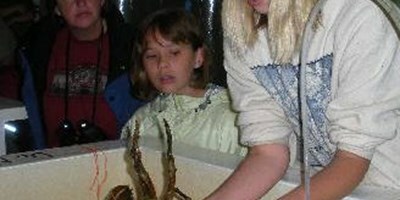 The Oceanarium: The Oceanarium displays a lobster hatchery, a deep water aquarium, and offers marshland habitat tours. You’ll experience a lot of surprises here. Thanks to the owner’s ceaseless efforts, the Oceanarium is a fascinating place to visit, providing both education and entertainment. The Maine Lobster Hatchery and the Thomas Bay Salt Marsh Tour are highly popular favorites. The Discovery Pool Touch Tank is good as ever. The staff here is engaging, knowledgeable, and very personable. Come! See for yourself! The Bar Harbor Music Festival: The Bar Harbor Music Festival runs all summer – Our 4th of July parade and fireworks exhibition, Summer theater in both Bar Harbor and Somesville, Bar Harbor Days with food & activities galore. 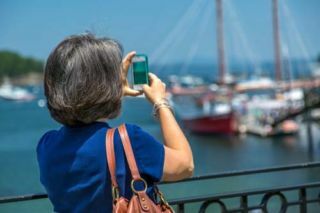 Be sure to also visit our Blog to read more about visiting Bar Harbor, ME.